I'm very happy to announce that I'm now a Memebox Ambassador! Like with the Etude House Pink Bird program, Memebox will be sending me stuff to review every month and I'll only be required to post honest reviews. I'm not being paid and these will just be free PR samples. Now that the disclaimer is out of the way, it's time to move on to what I'll be talking about in this post. 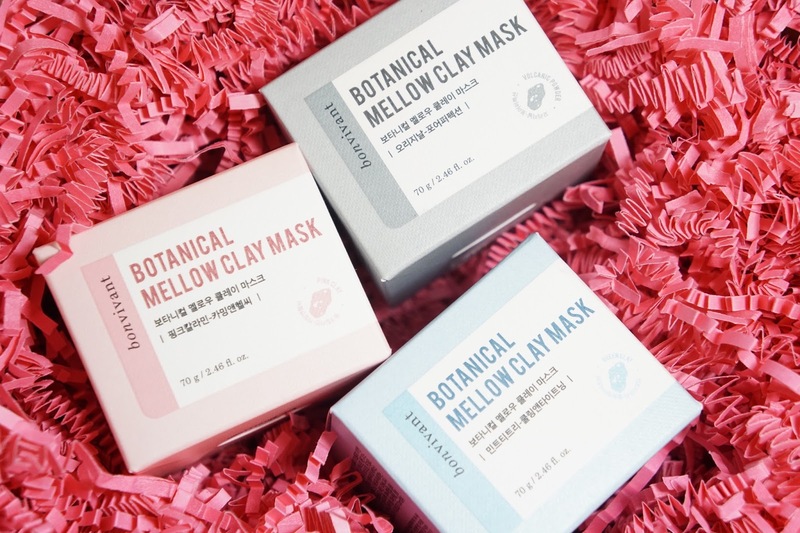 Memebox kindly sent me the Bonvivant Hawaiian Pink Calamine, Mint Tea Tree, and Jeju Volcanic Jelly Clay Masks to review! Each mask targets a specific problem, but you can also use more than one to "Rainbow Mask" or multi-mask. I'm actually a fan of rainbow masking since my cheeks, t-zone, and jawline all have different issues. I haven't found a mask that works on all issues and that's where raining masking comes in! You can buy all three masks on Memebox here! There are different set options as well, but the individual mask plus a free cat headband retails for $14. 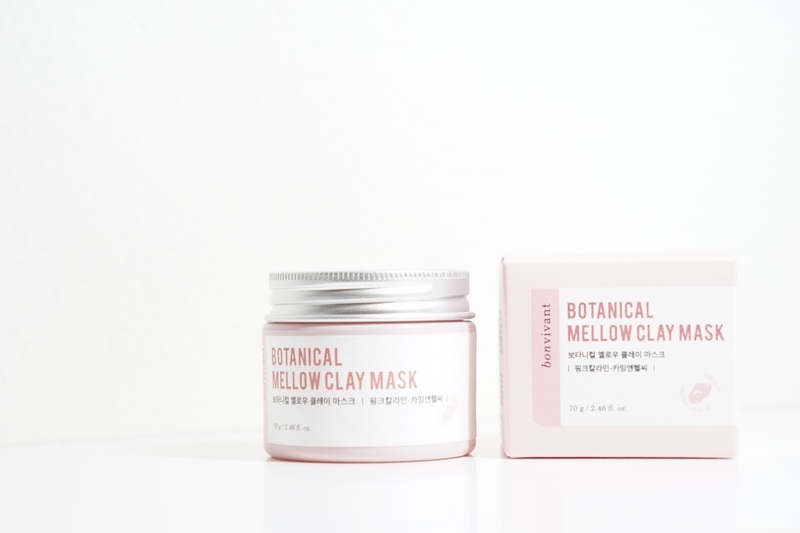 The Bonvivant Mellow Clay Mask Hawaiian Pink Calamine* is aimed towards calming and relieving red, dry, and flaky skin. My cheeks have been overly dry lately and I have no idea why. You would think that using a facial oil and 90+ degree Fahrenheit weather would help me be not dry, but that area has still been dry and flaky for the past couple of weeks. My chin isn't as dry, but it was getting there. 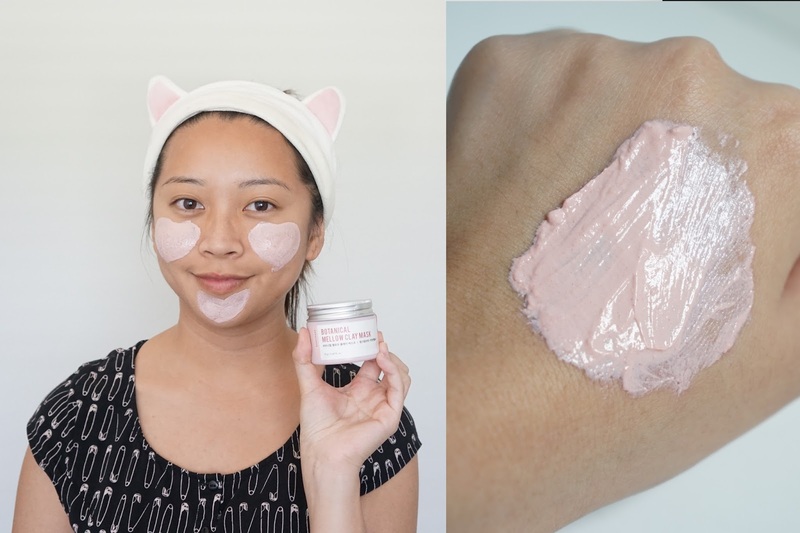 I was super happy to receive the Hawaiian Pink Calamine because it seemed perfect for me. I ended up not seeing a huge difference for my chin, but it worked so well on my cheeks. They feel smoother without the odd dry patches and I also noticed other products like essences and moisturizers absorbing better into my skin. The redness from my cheeks also subsided after using this mask. I'm getting pretty excited for my monthly acne breakouts to see how this mask will work. 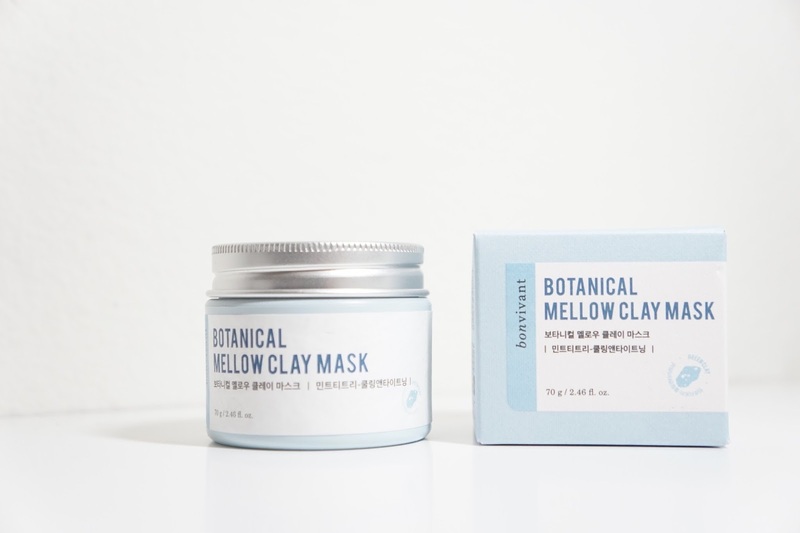 The Bonviviant Mellow Clay Mask Mint Tea Tree* claims to treat troubled and oily skin while removing dead skin cells and minimizing pores. Compared to 2-3 years ago, my skin is a lot better but I still have acne flareups around my jawline. As mentioned, I don't have oily skin and so I try not to use this mask, and other acne focused masks, anywhere but my jawline. With that being said, I didn't see a huge difference while using this mask but I also don't have much acne right now to see if it helps. Good thing is, I didn't see more breakouts or irritation and it didn't make my face feel dry. Tea Tree also hasn't helped me out in the past and so I kind of knew that this mask wasn't going to be the greatest for my skin. 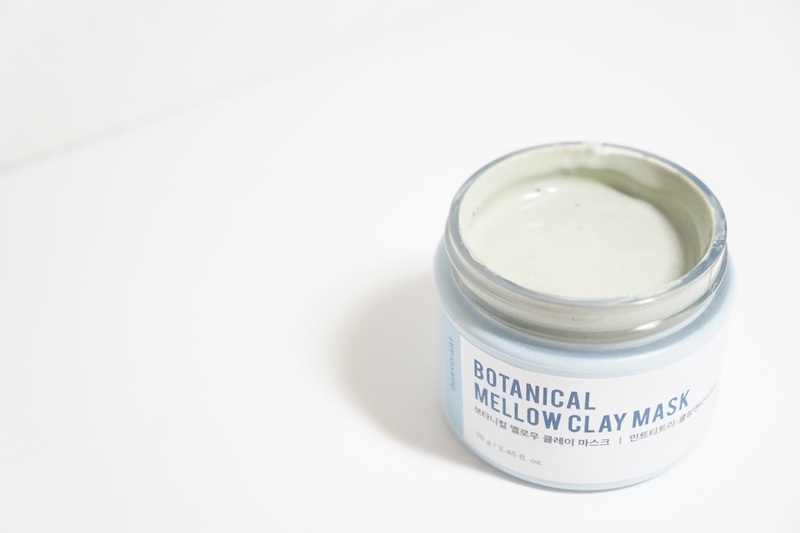 The Bonvivant Mellow Clay Mask Jeju Volcanic* has ingredients to dig out deep seated dirt, debris, and oil from pores. Instead of huge cystic acne, I do get clogged pores that add texture to my skin. They don't develop to be painful, but you can see that my pores aren't the greatest. I especially have a problem with sebaceous filaments on and around my nose. I normally use a chemical exfoliant to deal with that, but summer tends to make me more oily. 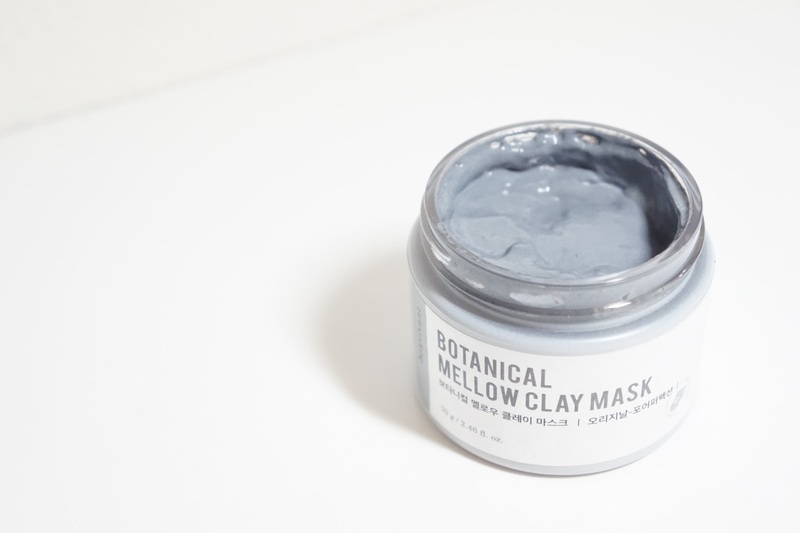 The Jeju Volcanic mask immediately helped out my nose and clogged pores right with the first use. 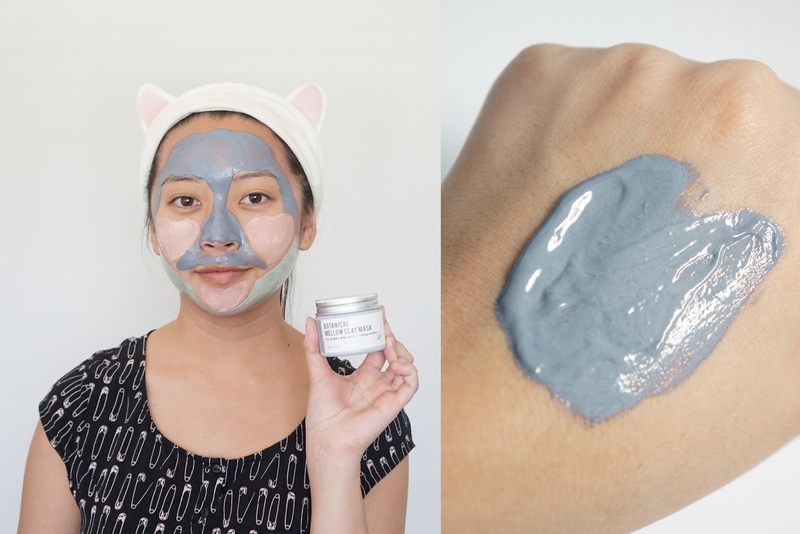 Foundation needs to switch between looking cakey and then flaky/patchy on my nose and after using this mask, it definitely went on a lot smoother. The sebaceous filaments aren't completely gone, but I'm very excited to keep using this along with my chemical exfoliants during summer to help deal with dirt and oil in my pores. In regards to texture, this package was delivered when it was over 100 degrees outside and so I think that affected each mask's texture. 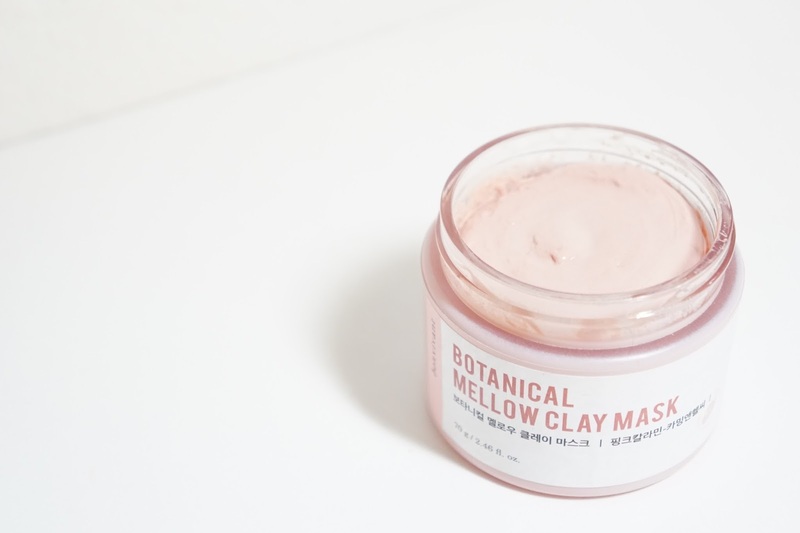 The Mint Tea Tree mask is very liquidy, the Jeju Volcanic mask is more firm, and the Hawaiian Pink Calamine mask is the firmest and it feels like a cross between a gel and clay mask. The Jeju Volcanic mask is started to solidify to be closer to the Hawaiian Pink Calamine mask though and so I'm not quite sure what the texture is supposed to be. Like other clay masks I've tried, these need some work to take off. I messed up the first time and put on too much and so it took so long to take off and I ended up drying out my face. Now when I use these, I put on a thin even amount and wash it off using a wet wash cloth. The masks didn't have any strong scents either and didn't irritate my eyes or skin. I did feel some slight tingling when I applied the masks, but nothing too bad or different from other masks I've used. 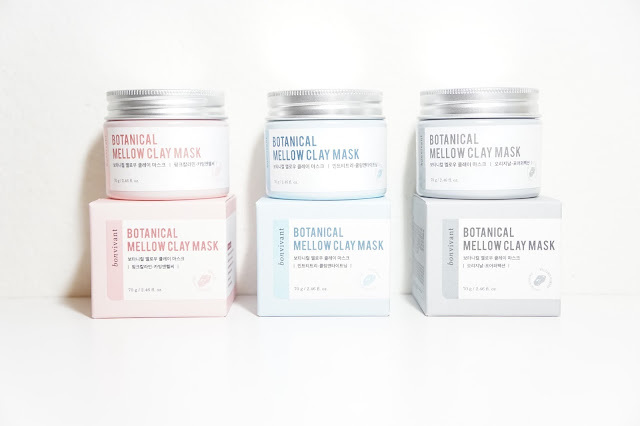 Final thoughts: I'm very excited to keep using these masks, especially the Hawaiian Pink Calamine and Jeju Volcanic masks! Skin is very personal and unfortunately, the Mint Tea Tree didn't do much for my skin at all and so I might end up giving that to my sister or friend since Tea Tree works better for them. 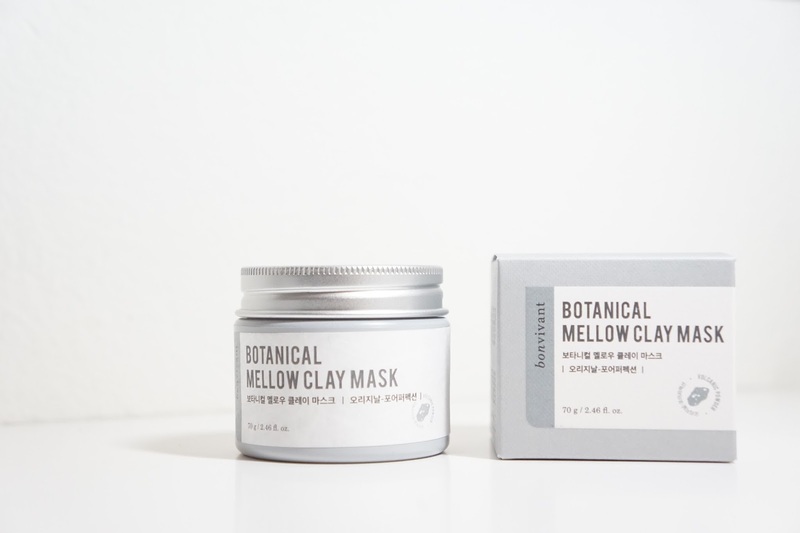 I saw almost immediate results from the other two masks and so I highly recommend them if you have the same skin problems as I do. These masks are hard to remove though and so I would get some facial wash clothes or even the specially made sponges from Bonvivant to help remove these masks without drying out or over washing your face. In terms of multimasking or rainbow masking, I'm a huge fan of doing this. 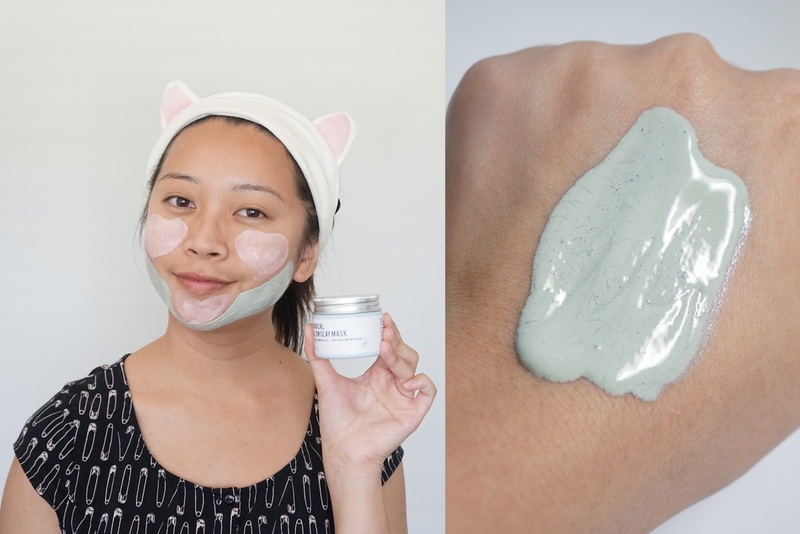 It's not a new concept but I like that with this new skin trend, more companies are starting to bring out masks with specific benefits instead of a supposedly all in one mask. Even if you don't get the Bonvivant masks, I do recommend rainbow masking to help get target your problem areas better. *Memebox kindly sent me these items for free to review. All opinions are my own and are 100% honest. For the Etude House cat headband, I bought that myself. I just really like it and want to wear it in every photo now.